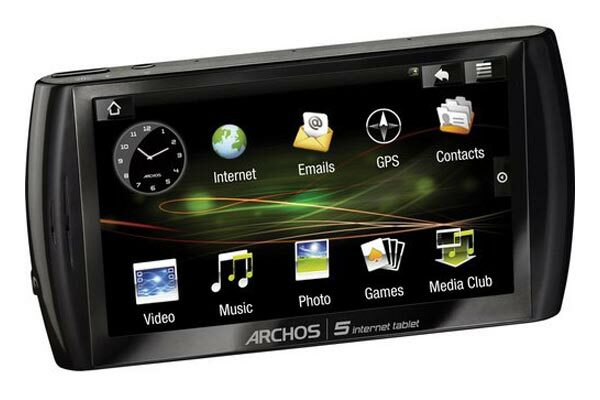 Details have been revealed of Archos’s latest Internet Tablet, the Archos A5 Android Tablet, which is the first tablet from Archos to run Google Android. The Archos A5 will come with a 4.8 inch LCD screen and it will come in a variety of sizes, with either 160GB or 500 GB hard drive or the choice of a 16GB or 32GB SSD. Other specifications include HD video out in 720p, which will work with an additional dock that will retail for $130, prices start at $294 for the 16GB SSD version, and $370 for the 32GB version. If you want the hard drive versions they will retail for $320 for the 160GB version and $420 for the 5GB version, and it will go on sale later this month.